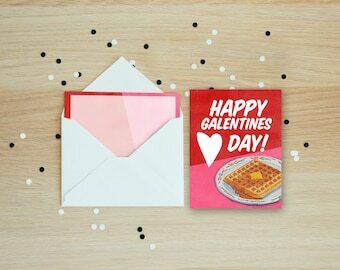 Romance, schmomance, whether you've got someone at the moment or not, it's all about Galentine's Day anyway. The term coined by Leslie Knope in Season 2 of Parks and Rec has now become part of our lexicon. 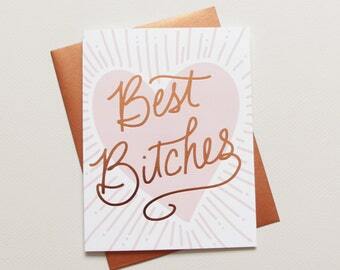 So spread some love around your inner circle of closest girlfriends. It's the gals in our life that are with us regardless, so why not shower them with extra special love this weekend. 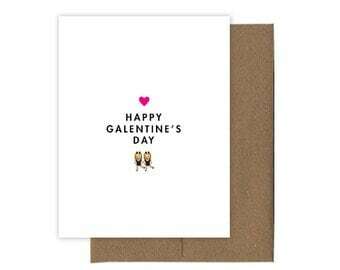 All these gems below are rounded up from Etsy, obviously the best source for Galentine's Day.